“Human being is conditioned since birth. Learning language, enhancing vocabulary, acquiring motor skills for movements, learning vocals, basic expressions, gestures, territories and identities, emotions, fight or flight syndrome, processing so many forms of inputs from so many sources. Doing all this using a tiny ‘limited brain’ creates havoc to the ‘unlimited’ nature of higher mind. Destruction of old ways of looking, hearing and feeling the ‘world’. Destruction of your belief about a solid, rigid huge world ‘out there’ from which you are totally disconnected and are powerless to make any impact over it or feel/hear/see it without your ‘physical senses’. This is very important step. For one obsessed with ways of the lower ego is fundamentally disconnected from All That Is by power of his/her own belief. No one in the world can help him/her get a ‘telepathic message’ for his/her mind will simply reject the idea/message. The second level begins once first step is completed to a greater extent. That is the possibility of interconnectedness of everything and ‘thing’ and ‘thought’ being the same is ‘installed’ in his/her belief system. 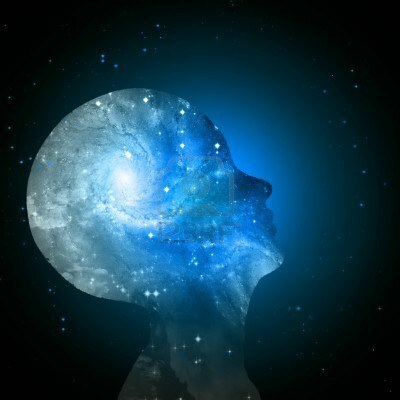 Now the person can try to listen to own ‘body sensations’, look for what is seen/heard in inner world of own mind in dreams/visions/inner travels. Synchronicity will start ranging from numbers, dreams, visions, voices, impulses to read, learn something new or creative feasts of self-expression in form of words (writing/poetry), singing, dancing, painting and so on. These are random moments of ‘connections’ with divine within and are based upon person’s innate abilities, past life work, astronomical influences, eagerness and openness and grace. The third level is blossoming of such extra sensory perceptions by way of more frequent and conscious use, sharper awareness aligned in line with higher purpose, finding out one’s specialized stream of ESP input and expression. For example, an empath who feels the energies will not make much progress by visualizations, visions etc. For him/her the inner feeling mechanism can be improved and strengthened so much so that he/she can feel the diseased organs or bad patches in an area or feel the auric vibrations or heal the sick patients or telekinesis powers or influencing the ‘form’ by his/her energy.